Jordan is a 15 year old girl. She has complex health needs that impact her day to day life. Jordan requires 24 hour care to ensure her needs are met. 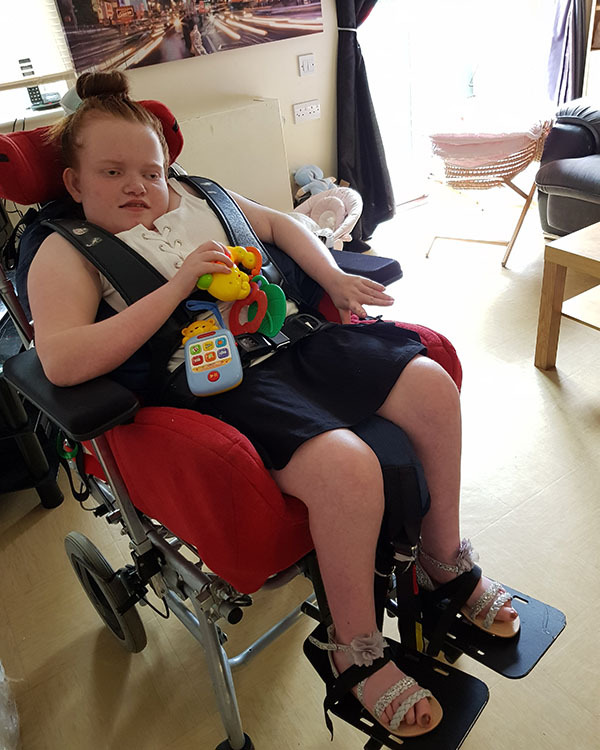 Jordan is continuing to grow and develop, and has got to the stage now where she has grown so much she has out-grown her current through-floor lift and bedroom. To enable her to have a bigger lift, she needs to have her bedroom extended to make sure there is the space. Jordan currently has a shower bench in her wet room, which is no longer suitable because it has become too difficult to manage her personal hygiene on the shower bench and Jordan does not particularly like it. She now needs a bath which is more suitable for her needs and she will have the opportunity to enjoy relaxing. Having a bath will be safer and easier for family members and carers to support Jordan's personal care. The adaptations will significantly benefit Jordan as she will be able to continue to use her bedroom. Jordan enjoys spending time in her room, relaxing and stretching out on her bed. As she is still growing her wheelchairs are only going to get bigger and her current lift is not going to be suitable to meet her needs. The Disabled Facilities Grant (DFG) will only fund a maximum of £30,000 towards this project, all together we expect the project to cost over £85,000. We are funding for an extension on her bedroom, a new bath, a new larger lift and new hoisting equipment. Jordan is a 15 year old girl who has severe complex needs, she was born with hydrocephalus, she has epilepsy, severe global development delay, scoliosis, severe visual impairment, she is in a wheelchair all the time, she has severe learning difficulties, she cannot walk talk crawl or sit up, she cannot eat so is gastrostomy fed. I've recently found out that Jordan has been diagnosed as a diabetic and she now has to have insulin which impacts on her health needs even more because she has to have blood sugars done 4 times a day and be watched in case she has a hypo or a hyper. Despite Jordan's health needs she is a happy, giggly, smiley teenager. She enjoys playing with her musical toys that light up and will laugh with excitement. She likes sensory toys with flashing lights and will watch these for hours. Jordan likes nothing more than getting out of her wheelchair and having a good stretch and move around. Jordan likes the company of others particularly her sisters who she will look out for, especially when they are about to tickle her! Jordan enjoys using the hydro therapy pool at school, going for out for walks and going on the bus. Jordan is the youngest of a family of 7, she has 5 sisters and 1 brother and 11 nieces and nephews! So family life is always busy for her. The through-floor lift is currently Jordan's only access to her bedroom. As Jordan has grown, the lift is now too small for her. Jordan requires a suitable bath to ensure her personal care needs are met. She currently has a shower bench, but this is no longer suitable. Jordan does not like the shower bench and can get distressed. The bench is a hard surface and can cause marks on Jordan's skin. It can be difficult for carers to roll her to ensure that her whole body is clean. 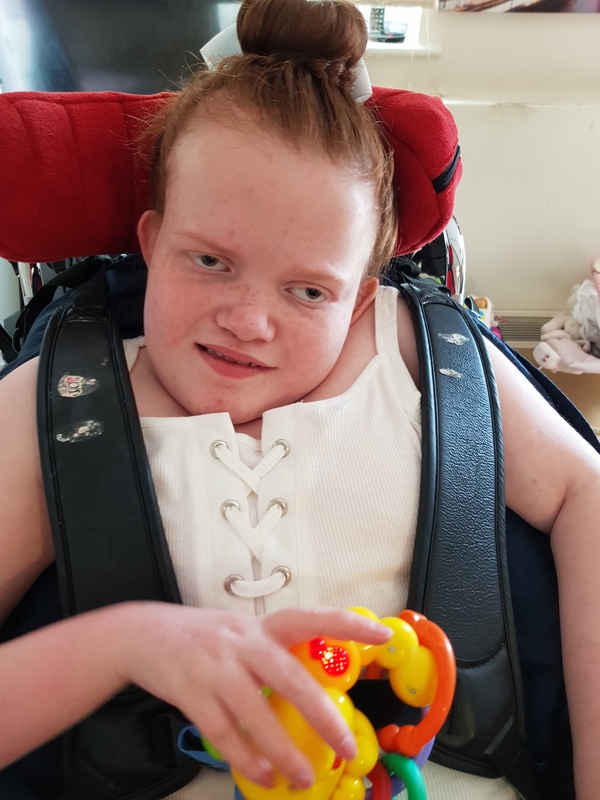 Having a bath will mean Jordan will feel safer, and she can relax and enjoy the sensory time whilst bathing. Jordan is a teenage girl and likes to look her best.